These elegant Dinner and Cocktail Napkins are made from pure White Cotton, carefully trimmed with hem stitching and beautifully embroidered. 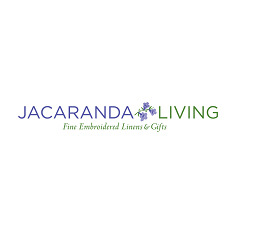 Perfect for any occasion, an embroidered cocktail napkin from Jacaranda Living can adorn any table with simple, refined elegance. There is also an unembroidered option for you to add your personalized monogramming. The unembroidered Dinner Napkin is also available in 100% Cotton Waffle Weave. Click on the images below to see the different design selections. They will help enhance the ambiance of any special occasion!